The Quizeum visits the Horniman Museum in London, which specialises in anthropology, natural history and musical instruments. 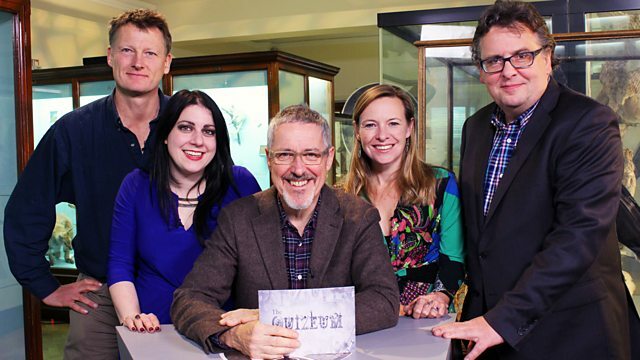 Being quizzed by Griff Rhys Jones are historian Dr Janina Ramirez, ceramics expert Lars Tharp, explorer Benedict Allen, and biologist and author Miranda Krestovnikoff. What creature does this sculpture represent and why is its blood so valuable? Find out all about our Object of the Week.